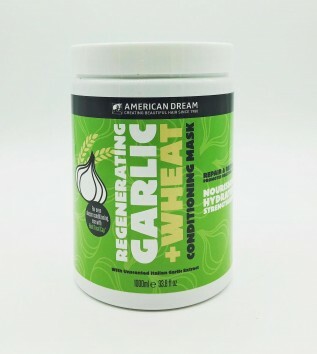 Follow with American Dream’s Regenerating Garlic & Wheat Conditioning Mask that has the same garlic-goodness plus added properties of wheat that improves hair elasticity & strengthens each strand to prevent breakage. 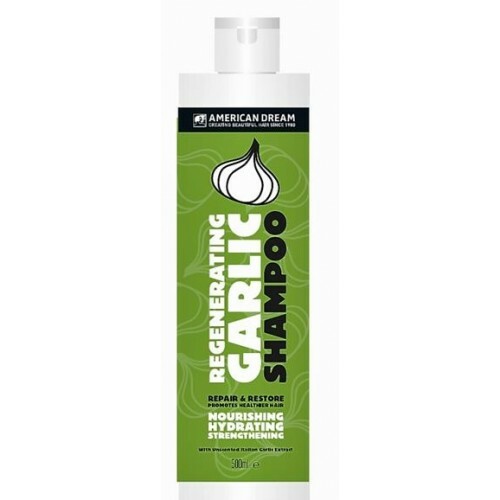 American Dream launches a NEW (odourless) Regenerating Garlic Shampoo and Regenerating Garlic & WheatConditioning Mask, made with real Italian garlic bulbs, horseradish root and wheat proteins. Garlic has been used for centuries for its medicinal purposes and, with the odour stripped out, all that remains is garlic’s natural goodness - including peptides, mineral salts and vitamins. 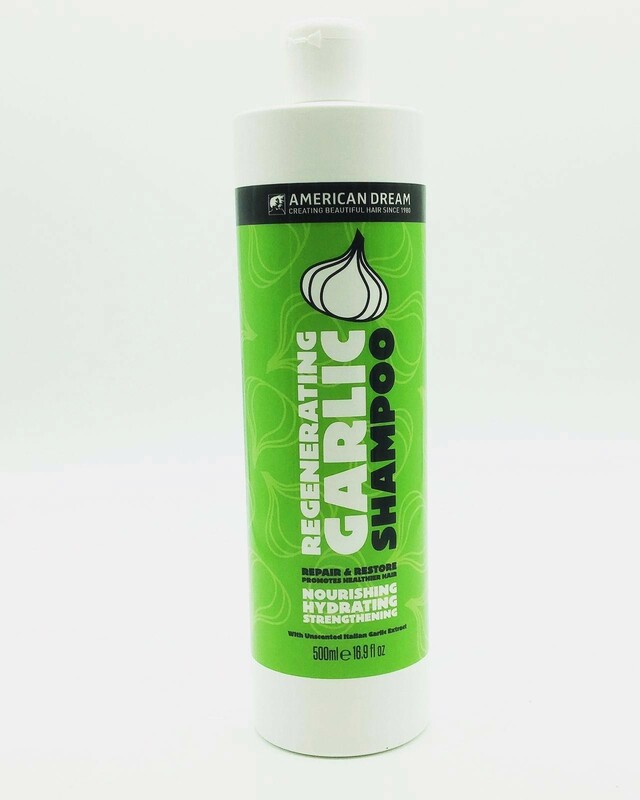 Used regularly, American Dream’s Regenerating Garlic Shampoo will hydrate, nourish and strengthen hair follicles. It adds significant shine and body to hair that may have been damaged from chemical treatments, while the natural antibiotic properties aid scalp health and repeated use will reduce dryness, itching and dandruff. Massaging it into the scalp and leaving it to be absorbed by the skin and hair will stimulate blood flow and help to remove toxins, all promoting hair growth. 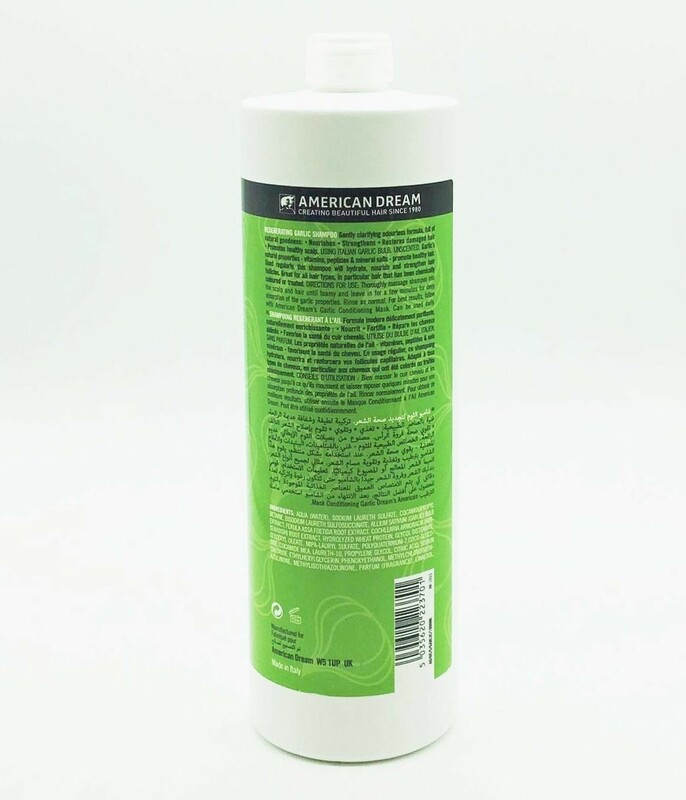 After shampooing, follow with American Dream’s new Regenerating Garlic and Wheat Conditioning Mask that contains even more of the natural-goodness found in the new shampoo – garlic concentrate, horseradish and wheat proteins – plus wheat-germ oil that improves hair elasticity by controlling the rate of moisture loss from follicles, and strengthens each strand to prevent breakage. Altogether this is an intensely nourishing formula that promotes ultimate hair health and leaves hair deeply conditioned, hydrated, lustrous, shiny and soft. Teamed up with heat the results are even better as heat ensures deeper penetration of the good stuff. We recommend Heat-Treat Cap™, an easy to use, transportable hot-hat that you can wear over any hair treatment or mask. Simply heat in the microwave for seconds and it’s ready to use.